This is a light and refreshing tea with hint of fresh fruit sweetness in its fragrance. We recommend using less tea leaves than what you would normally use for green teas. 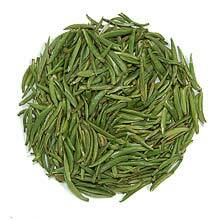 We carry the highest grade Gu Zhu Zi Sun in that only the tea buds are selected. The processed buds are green in color but once infused, you can still make out the slight purple color on part of the buds.